It is a requirement of your Agreement, that the goods are protected against Theft and Accidental Damage. We can arrange Theft & Accidental Damage Cover for £1.42 per week. It is a requirement that products purchased on a credit agreement are insured. We can offer Theft and Accidental Damage Cover for £1.42 per week. This Indesit Washer Dryer is feature rich which will make your doing laundry experience a little less hassle. 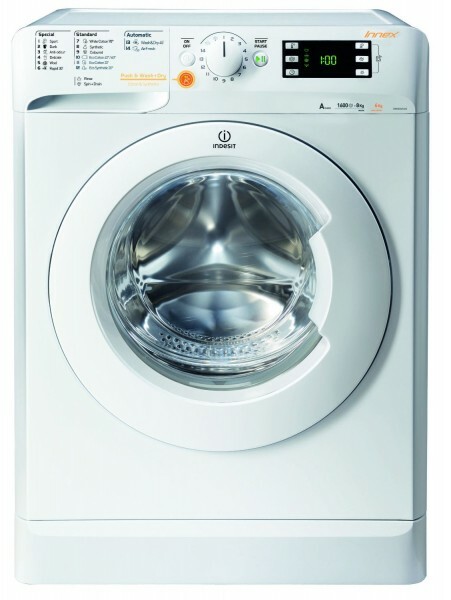 Some of this appliances features include; Push & Wash & Dry Technology, Water Balance Technology, Variable temperatures, Variable Spins and a Express Wash & Dry - which is a Fast and clean programme – a complete outfit washed and dried in just 60 minutes! This machine also has Golden Woolmark and is finished in a bright white.